Little Mistress Lace Detail Maxi Dress is rated 1.0 out of 5 by 2. 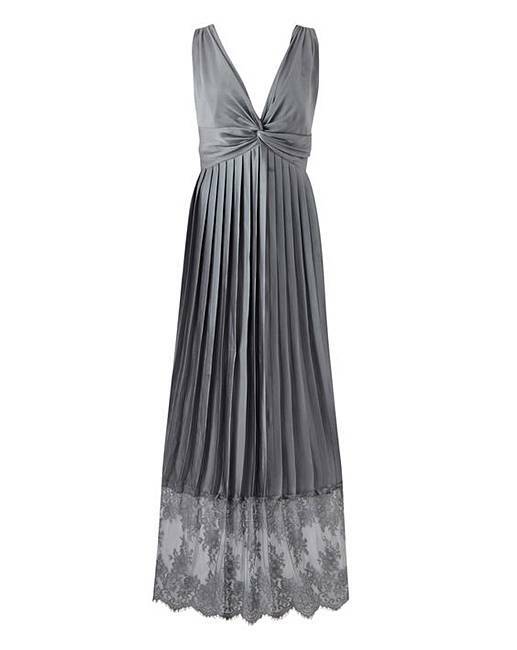 This beautiful metallic maxi dress by Little Mistress is a stunning addition to your occasion wear wardrobe. With a delicate lace hemline, this shimmering maxi features a V-neckline and pleated skirt that fits and flatters in all the right places. Rated 1 out of 5 by Chris A from Bodice too short Bodice did not sit below bust line so looked awful. Rated 1 out of 5 by Idiot2 from Poor quality, particularly the lace . If it were possible I would have returned it.......but I live abroad and my daughter sent it to me. Very disappointed.